Renowned Italian Operatic Tenor Enrico Caruso (1873-1921) toured widely visiting exotic locales and developing relationships around the world during his career. This collection contains postcards sent to Caruso from friends around the world, as well as postcards Caruso collected for himself. The postcard collection is from Vanderbilt University’s Special Collections and is part of the Caruso materials acquired by the late Francis Robinson, a Vanderbilt graduate, assistant manager of the Metropolitan Opera and biographer of the tenor. 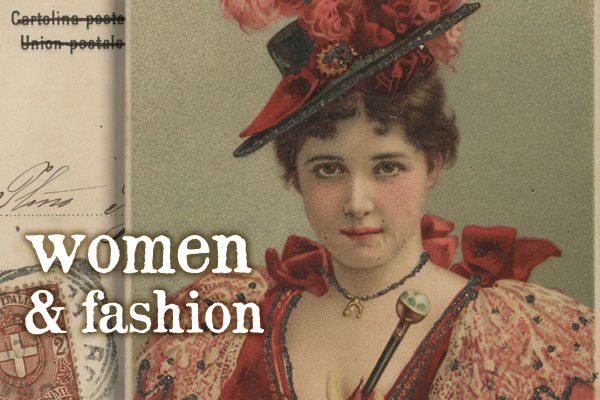 Women and Fashion represent a key portion of this collection. This category, as the name implies, includes mostly images of beautiful women in glamorous clothing. Of interest here is of course the way women are portrayed. In most of the postcards, the women are clearly European, wearing modest, if ostentatious, clothing. However, there is a series of women associated with world maps. These “map women” portray cultural identifiers for each country and in the case of cards representing “Tatarei,” “Arabia” and “Indo-China,” they portray the exoticism typical of colonial portrayal of “native” women. The category also includes cards which feature couples, focusing here on the period clothing of the couple portrayed. 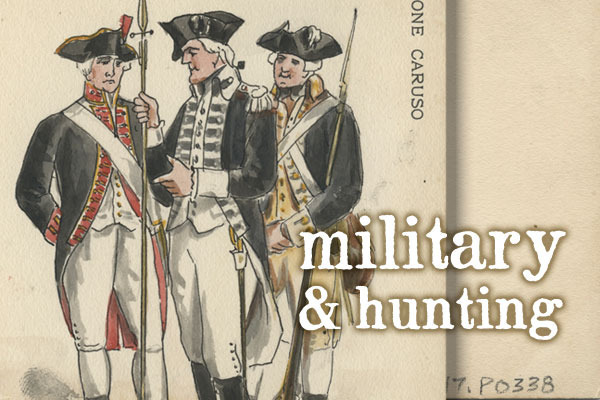 Military and Hunting postcards tend to offer displays of masculinity and strength for the viewer. A series of photograph-style postcards of the French military show soldiers in various stages of a formal military parade. In contrast, two different series of American and German soldiers focuses more on the styles of historical uniforms, as opposed to the action of the troops. Hunting postcards display telling images of "big game" hunting stalking in exotic locales, as well as old world images of equestrians in red hunting coats. Caruso himself served only a few months in the Italian army and was never much of a sportsman, so these cards seem to be universally popular rather than of particular resonance with Caruso. Representing roughly half of the total collection, Travel and Landmarks makes up by far the largest category of postcards. The travel postcards are also the category most assiduously collected by Caruso himself. He focused especially on postcards featuring images of New York. Travel postcards seemed to serve roughly the same function in 1900 as they do in today's society – sending postcards to friends and family while traveling. They present a tangible souvenir or memory of an experience away from home. 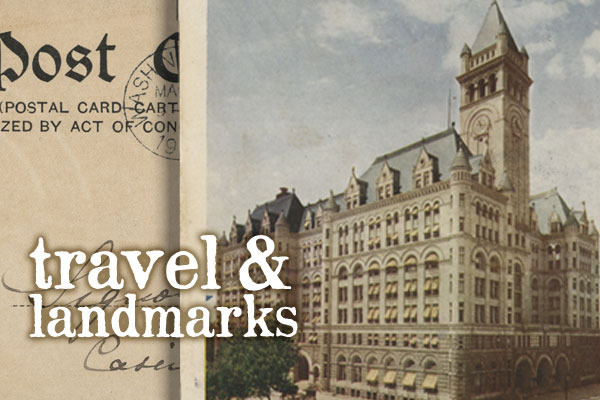 However, the collecting craze also adds a unique character to the ways Travel and Landmark postcards appear to have been consumed. For example, Caruso received several series of and Landmark postcards from traveling friends, all sent on the same day and without inscription. This somewhat negates the communication function of the postcard, instead highlighting its utility as a collector’s item or easily accessible piece of art. These postcards show rustic country sides, leafy orchards and bouquet after bouquet of various types of flowers. The images tend to evoke the romance of nature and the beauty of an isolated spot. Typically, these cards were sent to Caruso by female friends. 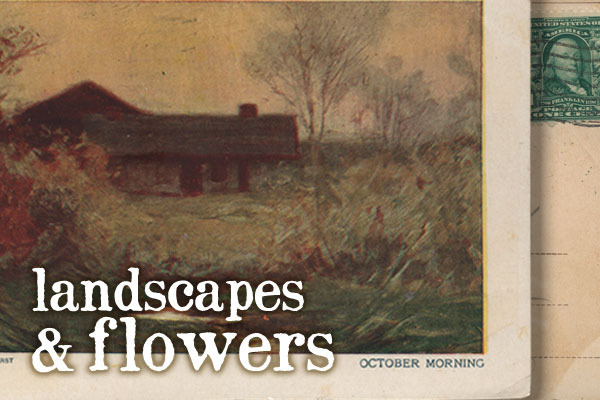 The Landscape and Flower postcards represent an interesting interaction between the rustic appeal of nature and the “new” technology of the postcard medium. Some of the postcards of flowers also display a nod towards modernity, with their Art Nouveau style. Unlike the American tradition of sending and receiving Christmas cards, Caruso tended to receive New Year’s cards, in the French tradition. Also prevalent are Easter cards, often displaying floral arrangements. 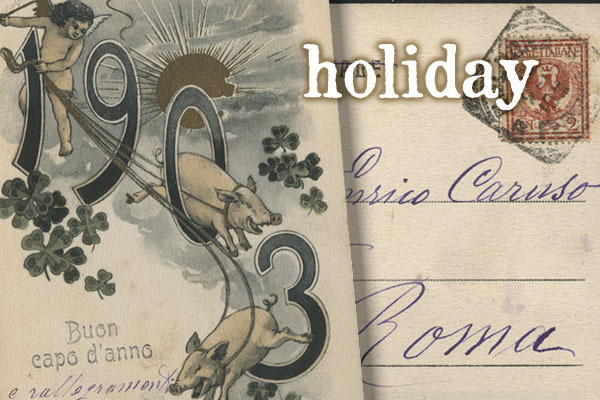 Surprisingly, holidays cards are in fact quite rare among the collection, with just 13 examples in total. The Humor category contains all the postcards intended to make the viewer laugh. This categorization of course relies on a certain amount of assumption, because most do not have any explicit reference to being humorous. The “jokes” of the postcards can include children posed with chamber pots, giraffes with their necks twisted together, an injured hunter and several tropes involving clowns. 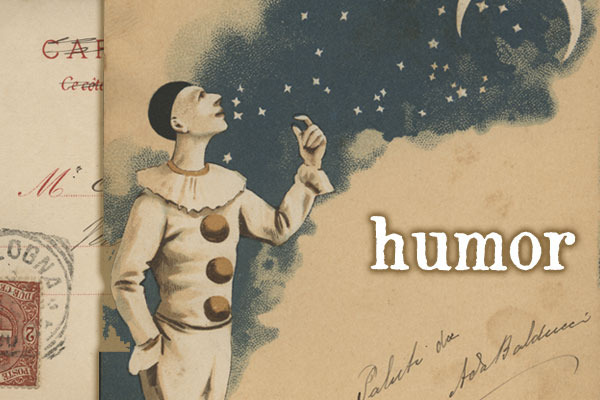 The humor cards offer the viewer a rare and somewhat incomprehensible glimpse into the humor of the early 20th century. This collection of mismatched cards represents the oddities among the collected cards. They depict children playing with a tea set or representations of the seedy side of "Le Notte." Some of these cards might also be considered humorous, although the image alone is not sufficient for a modern observer to know. 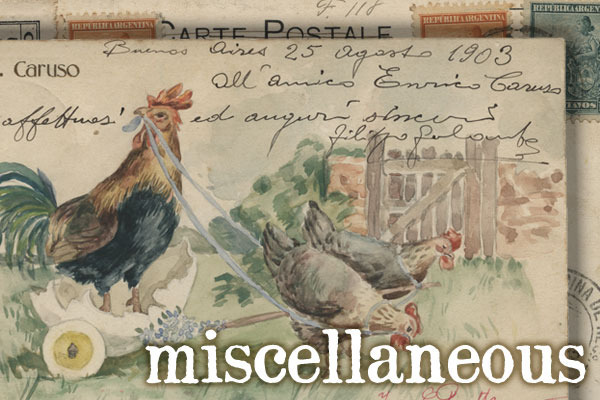 The miscellaneous category demonstrates, more than any other grouping, the diversity of the cards collected and available to be collected.